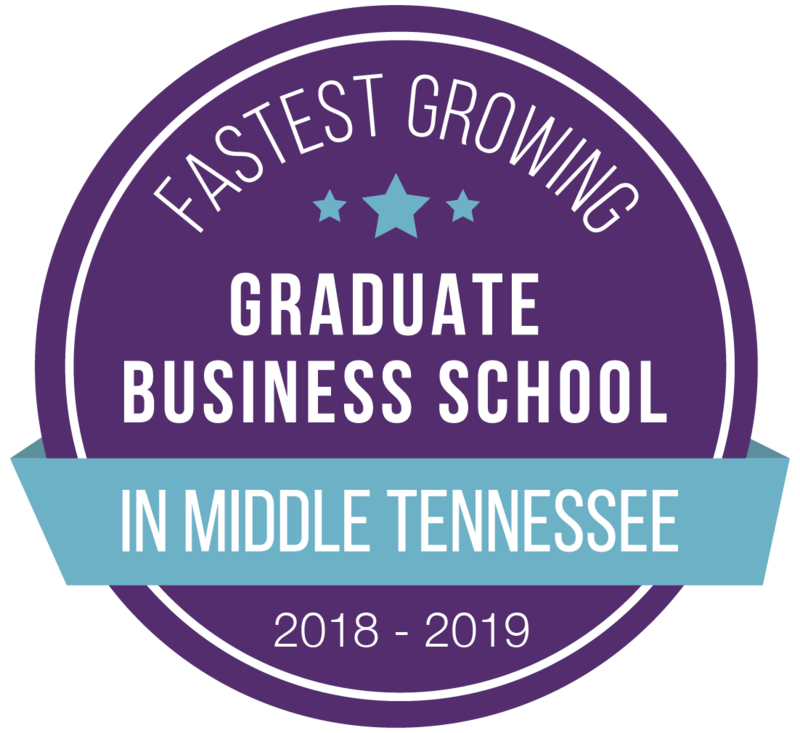 Trevecca Nazarene University’s graduate business programs are among the fastest growing in the state, according to data recently released by the Nashville Business Journal. The data, compiled by Carol Smith for the Nashville Business Journal’s 2018-2019 Book of Lists, compared enrollment numbers from a number of Tennessee graduate programs. In terms of net enrollment growth from fall 2017 to fall 2018, Trevecca was second, trailing only the University of Tennessee at Knoxville’s Haslam College of Business. UT grew at a rate of 15.8 percent, while Trevecca grew by 12.6 percent. "I think we offer an industry-strength program that is the best value in the region,” said Dr. Rick Mann, director of Trevecca’s graduate business programs. “Trevecca is booming because we provide a solid product at an affordable price." 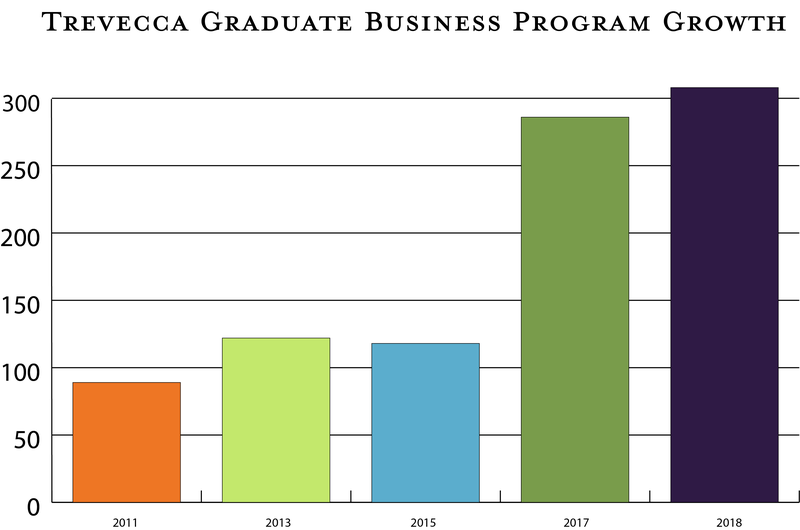 Trevecca’s graduate business programs have experienced explosive growth in recent years, more than doubling in enrollment from 2011 to 2018. In 2019, the MBA program will add an additional concentration in data analytics. Program officials also expect to expand to the University’s two Atlanta-area locations in College Park and Duluth, Ga.
“Nashville is booming, and Trevecca’s growth reflects that,” said Dr. Dan Boone, Trevecca’s president. “More and more students are looking for quality Christian education that advances their careers and fits their busy schedules and budgets. Trevecca is able to provide that in a unique way that so many across the state and even around the world are beginning to recognize.”In recent weeks, the University celebrated enrollment growth after Nashville Business Journal data revealed that Trevecca leads all other Middle Tennessee four-year universities in student growth from fall 2017 to fall 2018. The University’s total enrollment grew by 8.5 percent growth from year to year. Now boasting a total enrollment of 3,927—the highest in University history—Trevecca officials are excited about the future. Each year, the Nashville Business Journal publishes a list that ranks graduate business programs from across the state according to total enrollment. By comparing the 2018-2019 list with previous year’s findings, Trevecca officials determined the University’s graduate business programs gained more new students from fall 2017 to fall 2018 than nearly every other graduate business program polled. The 2018-2019 Book of Lists and the data it contains can be accessed via the “Store” tab at www.NashvilleBusinessJournal.com. Trevecca’s upcoming President’s Report, expected near the end of January, will celebrate this achievement and more. The 32-page report, title To Be More, will detail University achievements, innovations, influences, financial reports and more. The President’s Report will be released in late January. of leadership and service. Founded in 1901, Trevecca is committed to holistic education, encouraging students to grow intellectually, socially, emotionally, physically and spiritually. U.S. News & World Report ranked Trevecca as a national university in the annual “2019 America’s Guide to Colleges,” making the University the only Nazarene institution to receive the national ranking. In 2016, the Carnegie Foundation classified Trevecca as a doctoral university, ranking it among the top 7 percent of schools nationwide.